Nursing is an art and a science. The art of nursing is embedded in human caring. The science of nursing requires specialized knowledge, critical thinking abilities, and technical skills. The practical nurse is a valuable and essential member of the health care team contributing to the planning, implementation, and evaluation of nursing care under the direction of a registered nurse, licensed physician, or other specified health care professional as defined by the Utah State Nurse Practice Act. The Practical Nursing program at Bridgerland Technical College is accomplished through continuous, sequential instruction, which progresses from simple to complex concepts and theories. Theory and skills are taught concurrently and utilized immediately, first in a simulated lab setting, then in health care facilities under the supervision of clinical faculty. 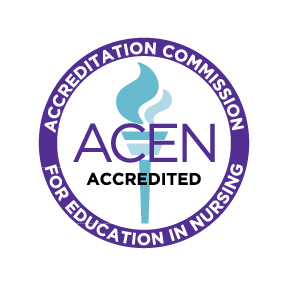 Accreditation: The Practical Nursing Program is State Board approved and accredited through the Accreditation Commission for Education in Nursing, Inc.(ACEN), 3343 Peachtree Road NE, Suite 850, Atlanta, GA 30326, 404.975.5000, www.acenursing.org. Upon completion of the Nursing Program the student may be eligible to sit for the National Council Licensure Examination (NCLEX-PN). Individuals must apply for admission into the program. Clinical courses require travel to Logan, Brigham City and occasionally Salt Lake City areas. A non-refundable $50 background check fee is required and must be completed before class begins. In addition, drug screens are a requirement of this program. Immunizations are required to participate in all clinical areas. Details are available in the Student Handbook. The nursing program accepts students twice a year utilizing a competitive application process. The application deadline for Fall Semester is June 1, and the deadline for Spring Semester is November 1. Please contact the Nursing Student Advisor at 435-750-3140 for additional information. Career Ready Assessment: Reading (Level 5), Locating Information (Level 5) and Math (Level 5). Prospective students must successfully complete the basic academic assessment and provide a copy of the Assessment Center letter and score sheet with his/her completed application. For more information or to schedule an appointment, call (435) 750-3188. Individuals must apply for admission into the program. Clinical courses require travel to Logan, Brigham City and occasionally Salt Lake City areas. A non-refundable $50 background check fee is required and must be completed before class begins. In addition, drug screens are a requirement of this program. Immunizations are required to participate in all clinical areas. Details are available in the Student Handbook. Bridgerland Technical College participates in a variety of assistance programs that aid students in covering the costs associated with enrollment in full-time certificate programs. 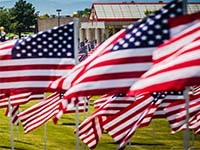 The Financial Aid Office provides information for grants, scholarships, and VA education benefits. Bridgerland Technical College does not participate in or endorse any loan program. The Financial Aid Office is located at the Main Campus, 1301 North 600 West. $231 for tuition and fees (books and supplies are additional). 1500 Hours (including prerequisite/pre-admission courses) - 10.5 months (not including prerequisite/pre-admission courses). Graduates can continue in the Registered Nursing Program through Weber State University. Some early morning and evening clinicals required.